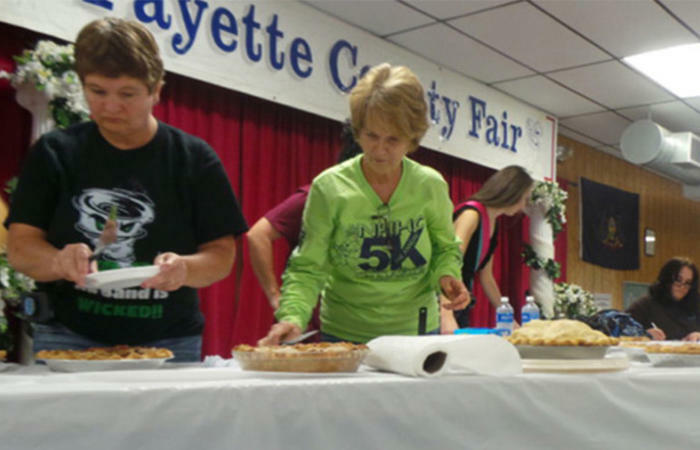 Fayette County Agricultural Improvement Association, Inc.
Fayette County Fair is a pay-one-price fair. All paid admissions include carnival rides, the Chevron Arena and Indoor Arena entertainment. With a total attendance of nearly 100,000 people, our fair ranks as one of the largest fairs in Pennsylvania. Come and enjoy the many quality events held here at the Fayette County Fair! With more than 30 carnival rides, hundreds of exhibits, various contests, lots of competitions, animal shows, exciting races, national musical entertainment, local talent, truck and tractor pulls, various demonstrations, a rodeo, demolition derbies, Monster Truck events, Motocross, and the largest number of concession stands in the history of the County Fair, there is something here for everyone. So come on down with a healthy appetite - for treats ... and thrills and good old fashioned fun! Presented By: Fayette County Agricultural Improvement Association, Inc. Location: Fayette County Agricultural Improvement Association, Inc.
Price: Gate Admisssion $15.00 Early Bird Admission-Weekdays Only $13.00 until 4:00 PM No early bird admission on July 25, 2019 Saturdays and Sundays $15.00 Children under 3 who do not wish to ride, admission is FREE!